Watch for migrating gray whales at Gualala Point Regional Park. 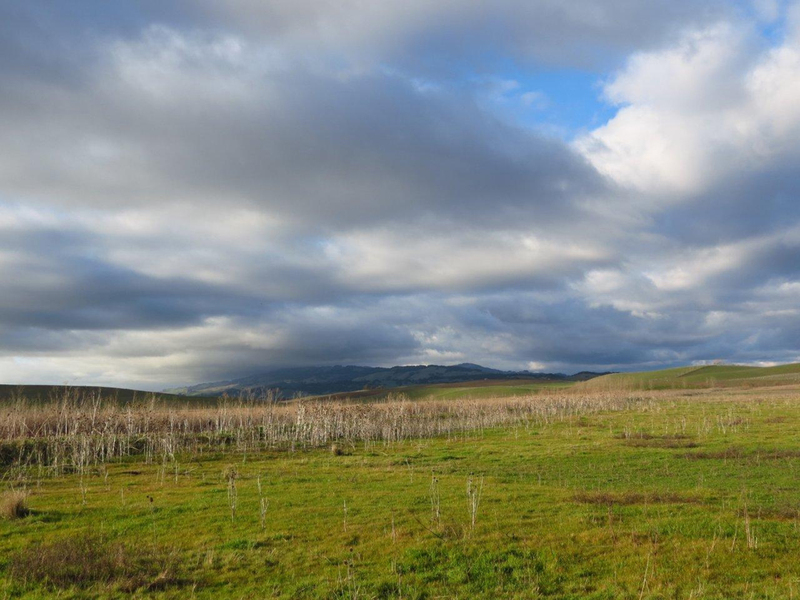 Each year, right around the beginning of March, the first hints of spring in Sonoma County begin to make an appearance. Trees start to bud, fields blaze with bright yellow mustard, birds—so quiet all winter long—begin calling for mates, and increasing numbers of people can be spotted bicycling, rowing, climbing, or wending on foot along pathways. 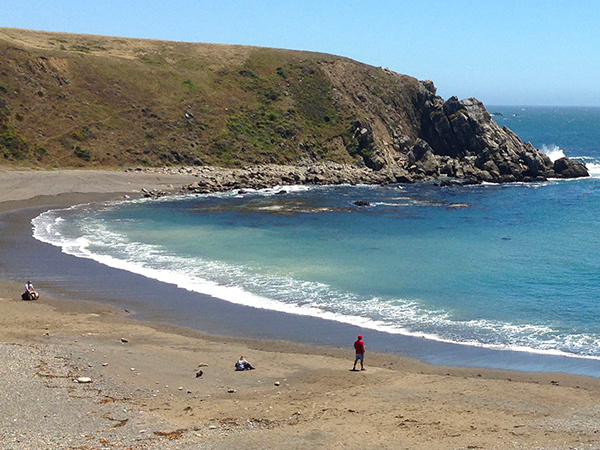 On a visit to beautiful Bodega Bay, discover the dynamic biodiversity of California’s northern coast during a free, docent-led tour of the Bodega Marine Laboratory. All ages are welcome (kids love visiting here). You’ll enjoy numerous marine aquarium displays containing colorful fish, invertebrates, and other fascinating sea creatures. A particular highlight: an aquarium whose kelp forest is home to residents of the local estuary. Friday tours are 2-4 p.m., with no reservations required. Enjoy the splendor of early spring on Sonoma County’s far northern coastal reaches by volunteering for the annual one-day search of a tiny flower known as the Western Dog Violet (Viola adunca), a host plant for the endangered Silverspot butterflies found along our coast. 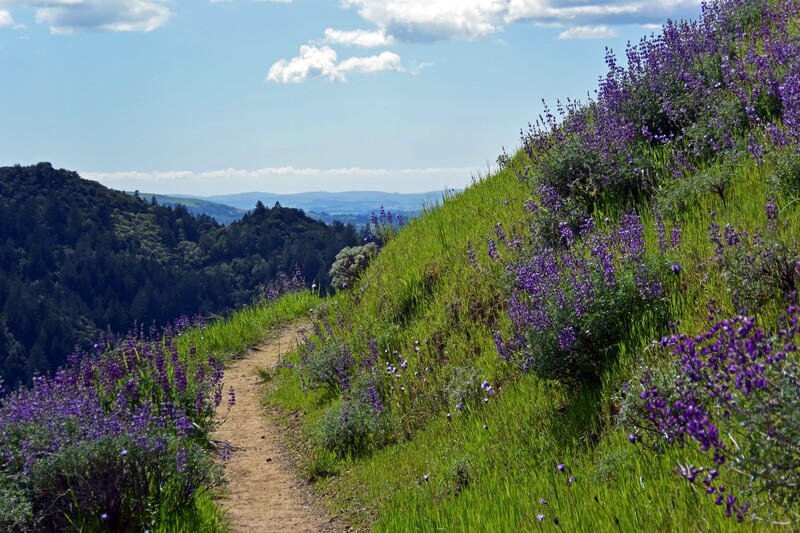 Your quest will not only have you exploring the magnificent coastal bluffs of Fort Ross State Historic Park and Salt Point State Park (uploading your findings via the “Calflora” smartphone app), but will also further conservation efforts to improve coastal prairie habitat. Interested? Email [email protected] to learn details and sign up. Come observe migrating gray whales and coastal birds at Gualala Point Regional Park, where you’ll join local community scientists to observe the spring migration of marine life from Whale Watch Point. Scopes and binoculars will be provided. Free. Parking is $7 (free for Regional Parks members). For more information, phone De Williams at (707) 785-2377. The Bill & Dave hikes have a devoted following and newcomers are always welcome. The March hike tackles many interior trails at Sugarloaf Ridge State Park. At approximately four hours long, it’s a 6.5-mile, moderately strenuous hike with a 1400-foot elevation gain. Bring lunch (you’ll eat at the intersection of Gray Pine and Brushy Peaks Trails, looking over spectacular views), plenty of water, and wear layered clothing. Hike happens rain or shine. Meet at the White Barn lot at 9:45 a.m. for a prompt 10 a.m. departure. For more info, call Bill at 707-833-6288, Dave at 707-539-8847. A parking fee applies (free for park members). If you’ve admired the intricate basketry of Native Americans, this hands-on class—held at the Laguna de Santa Rosa Foundation’s Laguna Environmental Center—is for you. Using tule, a giant species of sedge that’s native to the Laguna, you’ll learn to weave an Owens Valley Paiute-style scoop-shaped basket. Such baskets were once used for gathering berries and in other ways. This all-day workshop is suitable for adults and teenagers, but previous experience with twining is recommended. Basket-making materials are included in the registration fee. Bring your own lunch. 9:30-3:30 a.m. Fee: $95. Here are three great things to do on a Sunday: spend an hour hiking approximately 3 miles through the beautiful vineyard at Windsor’s Notre Vue Estate Winery, retire to the winery’s barrel room to learn how to make pasta from start to finish (and also two different sauces), and then dine on what you’ve prepared, along with wine, a green salad, and dessert. Wear hiking boots and layers. 10 a.m.-2 p.m. Fee: $145. More info here or call 707-433-4050. Join in commemorating the opening of Tolay Lake Regional Park, celebrating the past, present and future of the county’s largest park with hikes, cultural demonstrations, farm activities, food, children’s and family farm activities, a birding station, music and more. A picnic lunch will be provided by the Federated Indians of Graton Rancheria. 10:30 a.m.-3 p.m. Parking and entry are free for this event. To learn more about Tolay Lake’s journey to public access, visit this page.